Rich in six types of stem cells for skin regeneration, firming up of the skin, reduction in pigmentation and improvement of uneven skin texture. The all-in-one convenient and effective skin care solution moisturizes, protects, whitens, lifts, firms and anti-ages your skin! 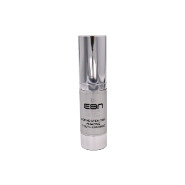 After cleansing with EBN Active Stem Cell Cleanser. Apply the EBN Amazing Youth Essence to face and neck, day and night.